According to the FBI the summer months of July and August have the highest rates of burglaries, usually about a 10 percent increase over other times of the year. Why? Simple, summer vacation. However, with the increased usage of social medi and sharing our whereabouts all day, every day – including our travel schedules – we may see this number change. Not for the better. 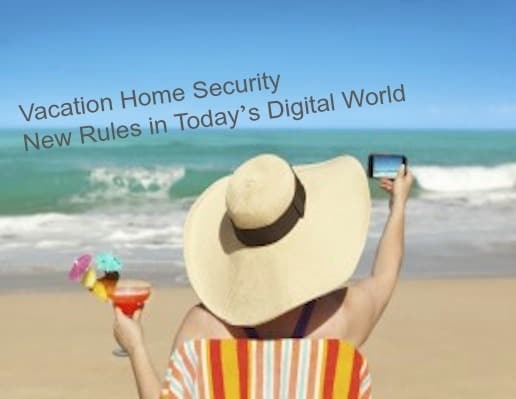 We all know the basic vacation security rules but in today’s digital world what are the NEW social media vacation security tips and rules people need to be aware of? How have the basic vacation security rules changed? We all have the “Friends” who post photos of amazing sunsets, beaches, etc., etc. as we’re at our desks working away. Yes, no doubt it’s rather annoying and you may end up “unfriending” them. I may even be one of them… Unfortunately, putting yourself out there in the online world we live in can cost you more than a follower or friend. You may actually be putting yourself in inherent danger – or rather your home and belongings. Yes, I know it’s a bit extreme but I grew up in a ultra security fashion having had both grandparents being robbed. One during my aunts wedding – it was posted in the newspaper – and the other during a family funeral – again posted in the newspaper. That was during the days of print; lower circulation. We live in a new world; global circulation of a single tweet or Facebook post. Let’s go back to the basic vacation security rules then discuss how have these rules changed and what are the NEW rules. Turn off your computer and disconnect it from the Internet. If you save personal information on your computer, make sure it is difficult to access. Keep valuables under lock and key and well hidden. Do not leave personal documents in your home office or desk–burglars know to look for them there. Put critical documents in a lock box or safe somewhere else in the house. Keep copies of important documents at another location; a relative’s home or a safety deposit box at the bank. Expensive jewelry should also be hidden somewhere other than the bedroom or left in a safety deposit box at the bank. Keep your home well lit. Turn on a few lights inside or setup electronic timers on lamps throughout your home. Arrange to have mail picked up or held by the post office. Stop newspaper deliveries and ask a neighbor to pick-up “throw-away” circulars. Tell a neighbor you trust you’re leaving town and ask them to keep an eye on your place. In a 2010 study, Burst Media found 72 percent of 1,237 tourists surveyed said they used social media, email or the Internet during vacation, up 63 percent from 2009. And the proliferation of smartphones has made it easier for travelers to post updates. A 2011 study from the Pew Research Center in Washington, D.C., found that one-third of American adults, or about 35 percent, own smartphones. I admit, I’m guilty of posting to Facebook, tweeting and yes blogging (I do write a travel blog) while on vacation. However, I try to do so with more caution these days. While the rules noted above still hold true and should be used, I’ve written a few more that fall into line with today’s social media world. Let me know if you have more that should be added to the list. Don’t be so social. Don’t tell the world you’re going away. Would you tell the guy bagging your groceries you’re heading out to Italy for a week – the exact dates you’re traveling? Or the solicitor who came knocking on your door earlier today? No. At least you shouldn’t be. But, you are if you’re posting your travel schedule on Twitter, Facebook Foursquare, etc. At least on Facebook you have a bit more privacy controls that limit who can view your details, assuming you have these updated and groups set up to dictate who sees what. Still, do you know if any of those 200 “buddies” from high school are down on their luck and know you have some great electronics that could cover their rent for the next few months? People can wait to see your photos until you get back. I know, it’s so hard! I’m guilty of posting photos while on the road but I do try to limit it to Facebook (select groups I have set up in my privacy settings). I end up posting everything the day we get back. It’s a nice reminder of the fun times we just had and helps me to better organize my photos. Check your geolocation settings. Most smart phones today have geolocation settings enabled, specifically on the camera. Unless you want people to know when and where your mobile photos were taken disable this setting. This will help those of you who just can’t resist posting photos while you’re away. Secure WiFi. I’ve had my phone compromised by connecting to a free wifi connection while having my toes done. I learned later that evening my email accounts had been hacked into and I had become a spammer. Ask your hotel for its wifi information, if you’re at a restaurant or bar most places will allow you to connect to their wifi, many have it open. Make sure to ask your servers though which one is safe to connect to. Save your banking for at home. 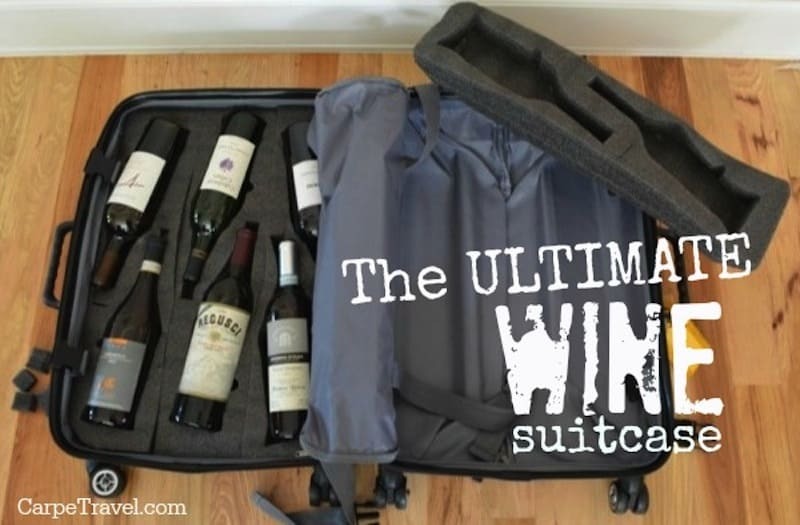 This may not be doable if you need to move funds around while you’re on the road. However, refrain from banking online in a coffee house or other unsecure location. It’s safer to do it from a secure wifi connection or even better, if you have a laptop go old school and plug-in to the landline broadband. Most hotels still have these setup. Be ready, use the Cloud. This is two-fold. If your home is broken into you can say goodbye to your laptop, backup drive, i.e. all your content – photos, files, home movies etc. Use a cloud service to backup your content as a cya. This also helps if you’re on the road and need to access files you have on your home computer. This helped me ton when traveling in Russia when I had to update some client files from Siberia. Here is a good review on two of the most popular Cloud services. These are just a few of the New Vacation Home Security Rules in today’s digital environment. I’m sure this list of social media vacation security tips will continue to grow. If you have any that should be added, please let us know in the comments section. Wow, those are really helpful suggestions! I have wondered if burglary stats would go up because of social network “sharing”.Thanks for posting! Great, comprehensive list! Thanks for sharing! This absolutely makes sense. I have a husband in law enforcement who always feels the need to “remind” me before we go anywhere to not put it on FB! Fabulous tips! My boyfriend’s house was broken into not too long ago – because someone in the neighborhood was observing his habits and knew that he was away every weekend. It was really scary to walk in and find that someone other than us or his roommates had been there! These tips definitely help people in securing their home while they are going on vacations. There are a lot of security systems available in the market that will help you in securing your house. Small gadgets will show as if someone is there in the house. And one should try to avoid announcing that they are leaving for vacations as this will tell many people around you and give a chance to burglars. Our home need more security when we are out of stations . The above tips are really nice to use that help us to protect our confidential informations from outsider . Also the devices like CCTV cameras , Monitors , Wifi and other surveillance systems good option to secure our home. To slow a burglar down? I always go with CCTV. This is my primary choice as it captures every event happening in the protected place. When monitored by company, immediate action will be halted that could prosecute burglars. I think having a CCTV cameras are effective mostly when you and your family are on a long vacation. There are ways to make your house ready when leaving for a vacation with the use of our newly digitalized world. Staying secured is better than putting your home at risks. Awesome post! Definitely some very helpful tips and advice. Security is certainly important, and installing a security system that you can monitor on your smartphone can be extremely helpful. Thanks for sharing! Digital security sound brilliant I preferred that for my home. Didn’t know that I can get 2 to 5 percent off on my insurance policy for installing these Dead-bolt window and door locks. Thanks for this information!